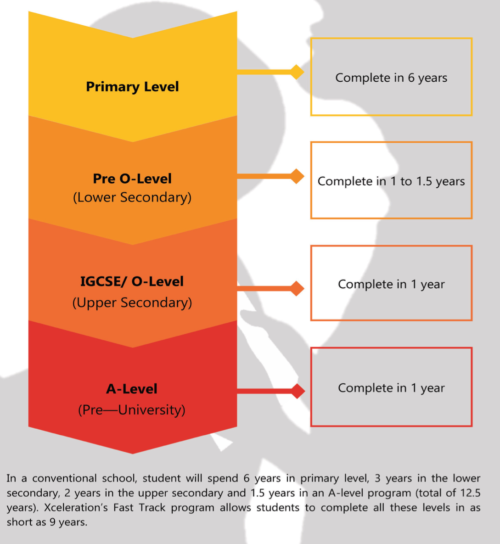 Cambridge and Edexcel IGCSE is offered as part of our <a href=”https://xceleration.edu.my/accelerated-competency-coaching-program-accp/”>Accelerated Competency Coaching Program (ACCP)</a> that is designed to teach students based on his/her learning ability and competency rather than his/her age in a small group environment. We adopt both UK Edexcel and Cambridge syllabuses. Both Pearson Edexcel and Cambridge International Examination (CIE) are one of the world’s largest providers of international education programmes and qualifications for 14-19 year old. Their syllabuses are continuously updated and reviewed so that students gain skills to transit to their higher education and a rapidly changing world successfully.